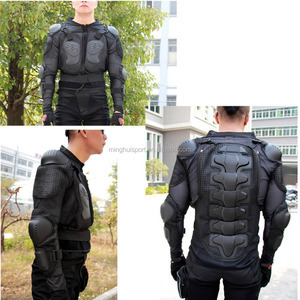 Elastic support straps at the movement points for extra Wear armor alone or under jacket. (3) Custom packing service No matter the inner packing or the outer carton , we could design the as your request . Our products are widely recognized and trusted by users and can meet continuously changing economic and social needs. Q: Which payments are acceptable9 A: T/T, Paypal, Western Union. Q: Do you deal with Wholesale or retailers9 A: Yes, We do. If you are wholesaler or retailers please contact us. In order to make the uniforms well, it is better supply vector graphic or high resolution image. Shipping: We have a Long-term cooperation with DHL so the price and efficiency are satisfactory , also can use UPS, FEDEX. etc Excellent quality, reasonable price, fast delivery makes us get very good reputation among our customers. custom sublimation red motorcycle jacket/nerve motorcycle jacket 1.motor jerseys: Express yourself with the most popular designs imprinted on the front or back of any shirt, sizes small to 5XL. 4. Product photo: 1. &ldquo;Leto sports apparel&rdquo;can do all kinds of the sportswear, such as the lacrosse, rugby, ice hockey, cricket, soccer, hoodie , cycling, racing, polo, hoodies, shirt etc; 2. We have a lot off experience in customize uniform. if you have your own design you can send us and we provide you 100% same jersey; 3. 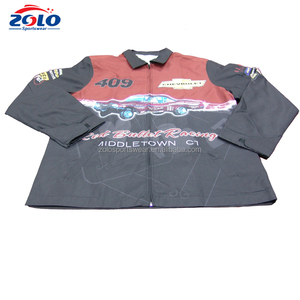 Sublimation printing makes the color brilliant; 4. Timely delivery: we signed the contract with our local DHL official transportation company . Customized packing : We can customize the packing for your products or use our uniform packaging B. Air and sea transport : We can provide sea and air transportation according to your requirements. C. 2. We offer you professional service in fluent English. We can provide the outdoor wear garment to you with any fabric. 5. For the size, we can do according to America standard, Europe standard, Asia standard or as your request. Moreover, besides standard products, we also provide an extensive range of customization services in order to cater for your special orders. The zipper chest pocket are laser cutting and and seamless joint. Two waist pockets are with mesh pocket lining which is more breathable. The hem with elastic binding and plastic stopper can adjust tight according. 1. We have been a specialist in producing and exporting auto and motorcycle parts for 10 years. We own a rubber part factory and established close relations with hundreds of suppliers for OEM parts. If you have the requirement for any of our products, please contact us now. winter fashion military personalized sports jackets jacket with led light item no. bulk products will be shipped by express or lcl, fcl, depends on quantity. Gender Unisex Printing Full sublimation printing, no color limited and fading. Features Moisture wicking, Eco-friendly, Quick dry and never fading Instructions Wash with same colors, Max. (It depends on quantity) Packing Normal Packing: One piece with tissuepaper/Hang tag in polybag, 80 pieces in one carton. : Item trendy waterproof fringe leather motorcycle jackets Feature Plus Size,Breathable,Eco-Friendly,Waterproof,Windproof Design Provided by the buyer. Or Offer Free design service after ordered Usage Wearing,Promotion,Advertising Length Normal Feeling Soft hand feel Place of Origin China (Mainland) MOQ 100pcs Payment Methods L/C, T/T, Western Union, etc. Pls kindly note that we are the professional manufacture which only do custom underwear with your design provided,and don't do retail or wholesale stock items. Q1. What is your terms of packing9 A: Generally, we pack our goods in strong carton box, suitable for any transportation. Q4. How about your delivery time9 A: Generally, it will take about 20 to 35 days after receiving your advance payment . Q5. Can you produce according to the samples9 A: Yes, we can produce by your samples or technical drawings. contact us Qingdao Yichang Garment Co. ,Ltd Guanggu Software park, Bulding No. 34., Floor 4th, Emeishan Road No. Anatomically arched back design to meet the riders natural riding position. . Open weave stretch fabric gives great fit and maximum ventilation. . Can be worn internally or externally, and easy to put on and take off. 11 YRS Guangzhou Xingdun Police Equipments Co., Ltd.
Material: Our motocross jersey made from 100% polyester micro mesh fabric,light weight,cooldry. 2). Price: O ur cost will vary depending on all available discounts, quantity, style, and size. 9). If you are interested in our products, Just feel free to send me an e-mail at anytime, I will reply you upon I see it. In order to make the uniforms well, it is better supply vector graphic or high resolution image. If you are interested in our products, please do not hesitate to contact us for further information. If you have no designer, just need to send us the pics or requirements, we will make a design for you. 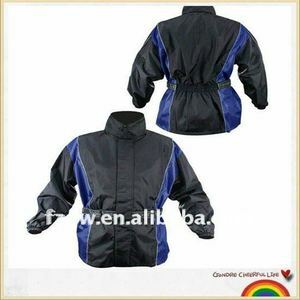 Alibaba.com offers 2,184 colorful motorcycle jacket products. About 39% of these are men's jackets & coats, 34% are women's jackets & coats, and 7% are motorcycle & auto racing wear. 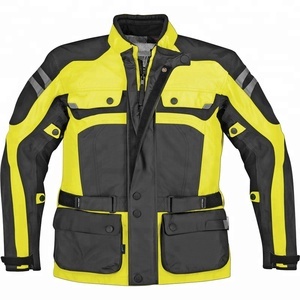 A wide variety of colorful motorcycle jacket options are available to you, such as breathable, plus size. You can also choose from free samples, paid samples. 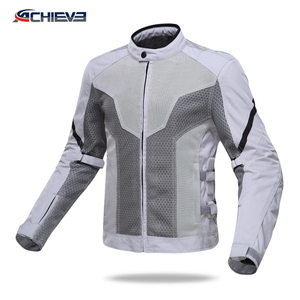 There are 2,184 colorful motorcycle jacket suppliers, mainly located in Asia. 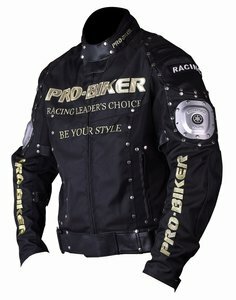 The top supplying country is China (Mainland), which supply 100% of colorful motorcycle jacket respectively. 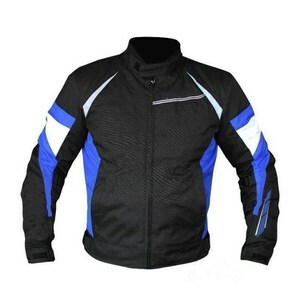 Colorful motorcycle jacket products are most popular in North America, Western Europe, and Eastern Europe. You can ensure product safety by selecting from certified suppliers, including 216 with Other, 191 with ISO9001, and 125 with BSCI certification.